Are you and your partner on the hunt for a hotel that caters for family stays or child-friendly accommodation? 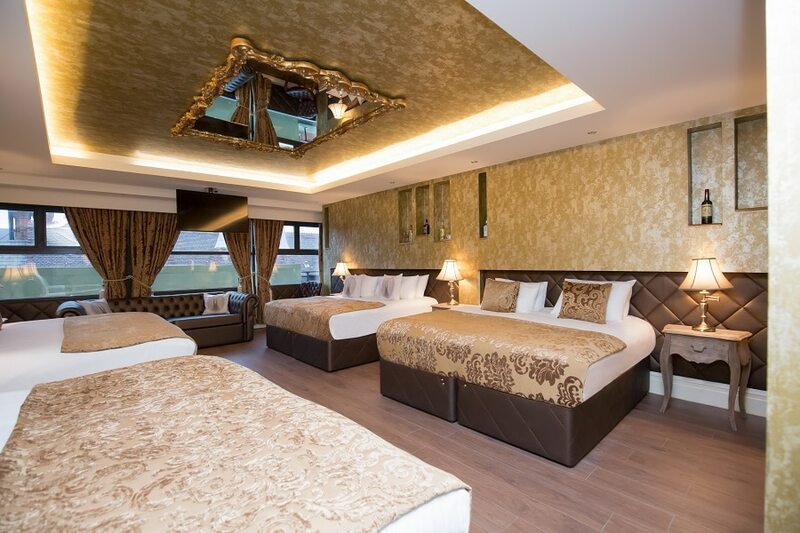 Do you need large group accommodation that features a number of comfortable beds, a dining table, multiple TVs, bathrooms, a kitchenette and space for family entertainment, all contained within one luxurious suite? Well, look no further than Signature Living. We have a number of unique rooms that sleep anywhere from 4 – 20 people, making them perfect for small or large family holidays. It can be hard to find the right accommodation for you and your family in a city centre. If you have young children, you may not want to split up and have separate rooms. However, lots of hotels in Liverpool offer no alternative. But at Signature Living, large and private group accommodation is what we do best. With luxury amenities to ensure your stay is one to remember, our unique rooms are perfect for families who are enjoying a holiday, a celebration or a short stay in the city. 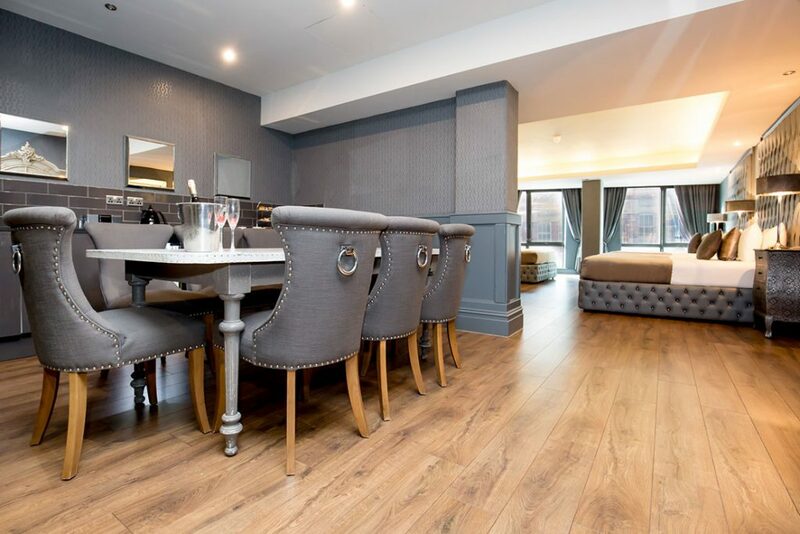 Our large group suites and apartments are renowned for providing guests with the ultimate city centre accommodation without compromising on space, luxury furnishings and fun décor. The amenities within family rooms are nothing short of amazing with fully fitted kitchenettes, large dining tables, multiple TVs, swimming pools and outdoor terraces, for the most magnificent stay. Situated in the very best city centre locations, our hotels and apartments ensure you’re perfectly located so you can enjoy the best shopping areas, restaurants and cultural attractions with ease. Liverpool ONE is less than a 5 minute walk from all of our venues, including the famous Bold Street and the Metquarter. 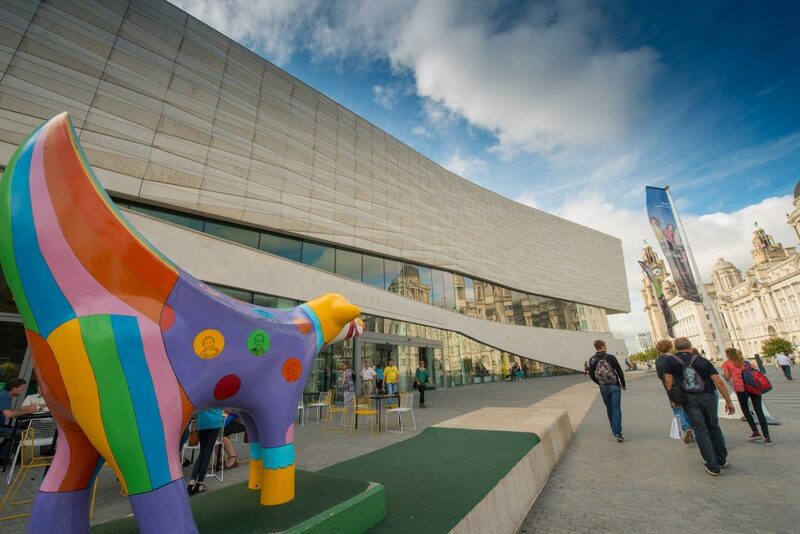 You and the family are also very close to Liverpool’s famous waterfront, which is the perfect place to explore the city’s most historic buildings and museums. Most transport links are less than 10 minutes away from our family accommodation, including Liverpool Lime Street and Liverpool Central Station. Liverpool John Lennon Airport is only a 30 minute drive away and all of our suites are easily accessible by car. Perfect for family stays in Liverpool. Each of our large group accommodation rooms and apartments feature a unique theme which you won’t find anywhere else. Instead of being forced to split up, spend your holiday with the whole family for a Signature Living experience you’ll never forget. Check out some of our best luxurious rooms which have been designed with family stays in mind. Inside guests are welcomed by an extravagant decor, complemented by elegant figurines and a glamorous ceiling mirror. 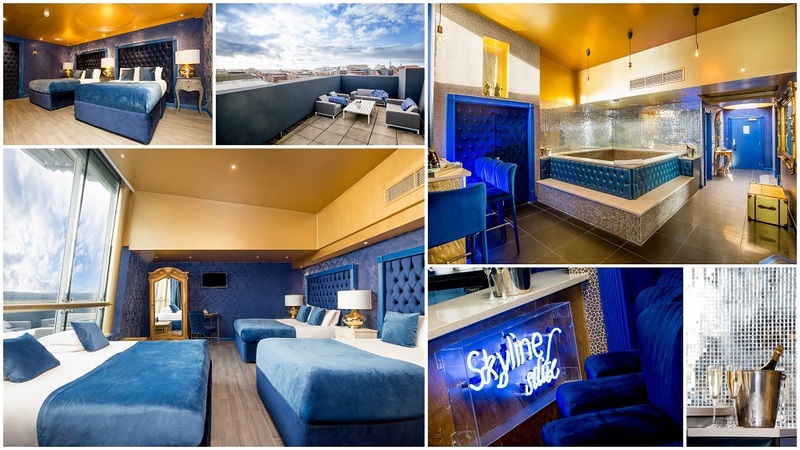 The stunning spacious suite is ideal for a superb family stay in Liverpool giving guests all they need for a truly unforgettable hotel experience. The Wardrobe suite can sleep up to nine people in one of four plush double beds and one comfortable sofa bed. What’s more, the large room has a dining space that is ideal for family meals in the room. The rest of the suite includes fabulous features such as an indulgent double whirlpool bath, stylish ensuite bathroom and a modern kitchenette. Our Grey Rooms have been perfectly designed to immerse guests in luxurious surroundings. Focusing on both comfort and style, they are perfect for family holidays in Liverpool. Boasting luxurious double and single beds, waterfall showers and whirlpool baths, each Grey Room suite has been individually designed so each and every member of your family can enjoy the perfect city centre break. Helping to compliment your stay at every opportunity, it’s easy to make yourself at home in the Grey Suites as a number of rooms feature fully equipped kitchenettes and dining tables. Each Grey Room boasts a large flat-screen TV and designer furniture which effortlessly adds to the modern décor. With plush Chesterfield style walls, rich décor and sumptuous velvet throughout, the Grey Rooms are a magnificent example of Signature Living’s unique approach to hotel accommodation. 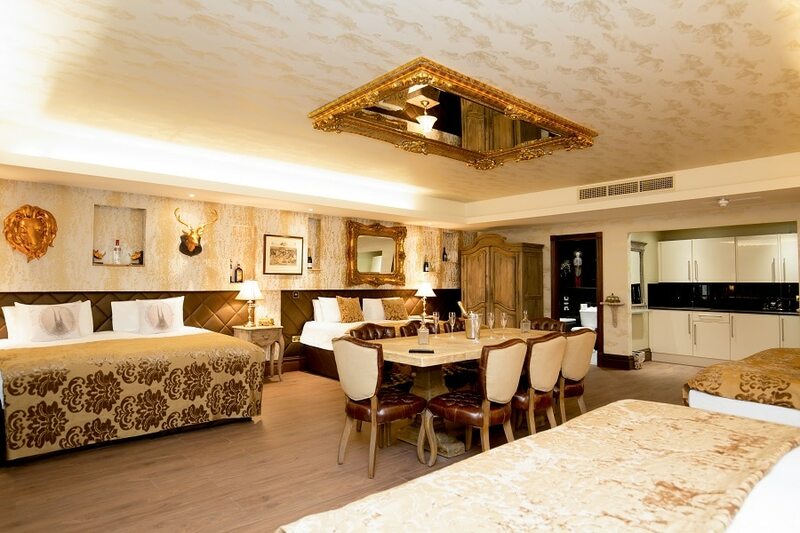 The Nature suite is a splendid city centre hotel room that has been designed with family stays in mind. The creative decor has been inspired by the great outdoors and includes artistic wallpaper adorned with monkeys, lizards, birds of paradise and exotic plant life, that your kids are sure to love. Inside the Nature suite, six guests can relax on one of three comfortable double beds and enjoy the flexible facilities like a small kitchenette for food and beverage storage. The stunning ensuite facilities are what make the Nature suite stand out above other Liverpool accommodation, with an indulgent double whirlpool bath and other unforgettable luxurious touches. Last but not least is the stunning Wonderland suite. Influenced by the enchanting tale of Alice in Wonderland, this is a Liverpool hotel room full of charming trinkets and whimsical features. 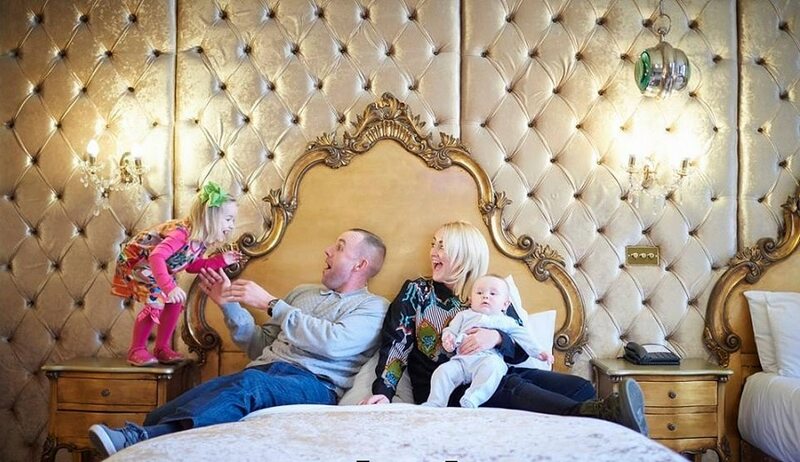 As soon as your family step foot into the Wonderland suite they are greeted by luxurious golden decor and charming ornamental furnishings. From plush bedrooms to cosy living rooms and fully fitted kitchens, Signature Living’s family rooms are the perfect choice for the ultimate getaway in Liverpool. 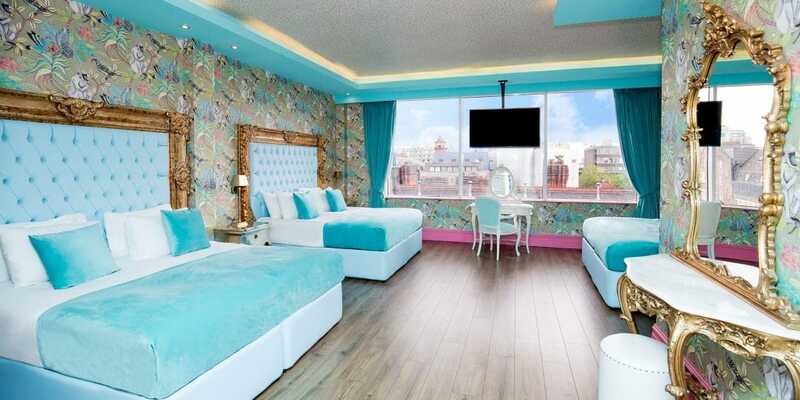 To book any of our rooms, get in touch with our friendly team today by calling us on 0151 236 0166 or emailing info@signatureliving.co.uk and start planning your next family break with the kids!